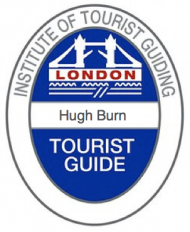 Windsor Tours is a small company, run by Hugh Burn, a member of the highly regarded Blue Badge guides. Hugh is fun and passionate about his subject and derives real pleasure in showing the best of England. As a small group you enjoy better contact with Hugh, greater time management and flexibility for that personal touch. Windsor Tours runs personalised guided tours of any length, aimed at enhancing your experience. We specialise in guided walking tours of Windsor, Windsor Castle and Eton. Our route is never pre-determined. Instead we will show you what you want to see. All itineraries are agreed with you in advance. Windsor Tours also runs Fun Days Out, aimed at larger groups (15+) with more time on their hands and who are willing to go a little bit off the beaten track. Follow the link above for some itinerary ideas. © 2019 Windsor-Tours.co.uk. All Rights Reserved.